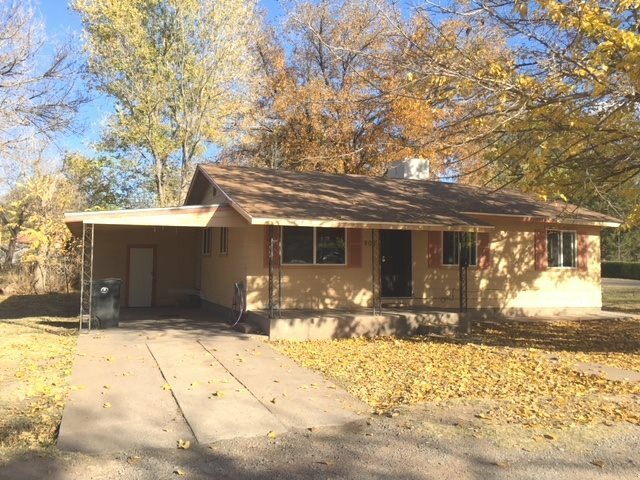 NESTLED ON A 1/4 LOT IN THE ORIGINAL 49 BLOCKS - THIS 3 BEDROOM 1 BATH HOME HAS A BRAND NEW ROOF, FRESH PAINT. IT HAS DITCH IRRIGATION RIGHTS. IT COMES WITH A GOOD SIZED PECAN TREE AND A SHED AND IT SITS ON A CORNER LOT.